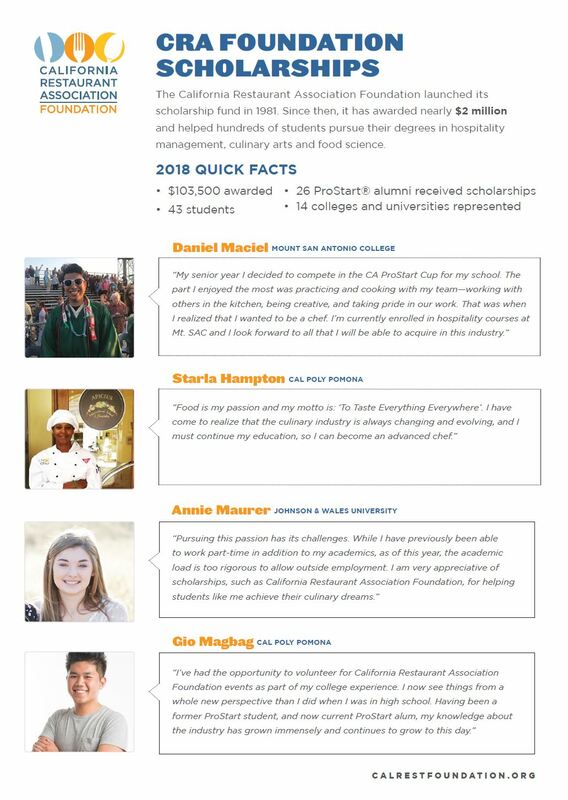 Each year, the Foundation awards dozens of scholarships to deserving high school seniors and undergraduate students who dream of pursuing higher education to study the restaurant, foodservice and hospitality industries, as well as to instructors who want to continue their education. How to Apply: Students complete a single general CRAF scholarship application and check off boxes for the scholarships for which they qualify (requirements for each scholarship listed below). Please note, the Guy Fieri Cooking with Kids scholarship requires an additional video submission. Awards: Students attending a 2-year degree program are eligible for a maximum award of $2,000 a year. 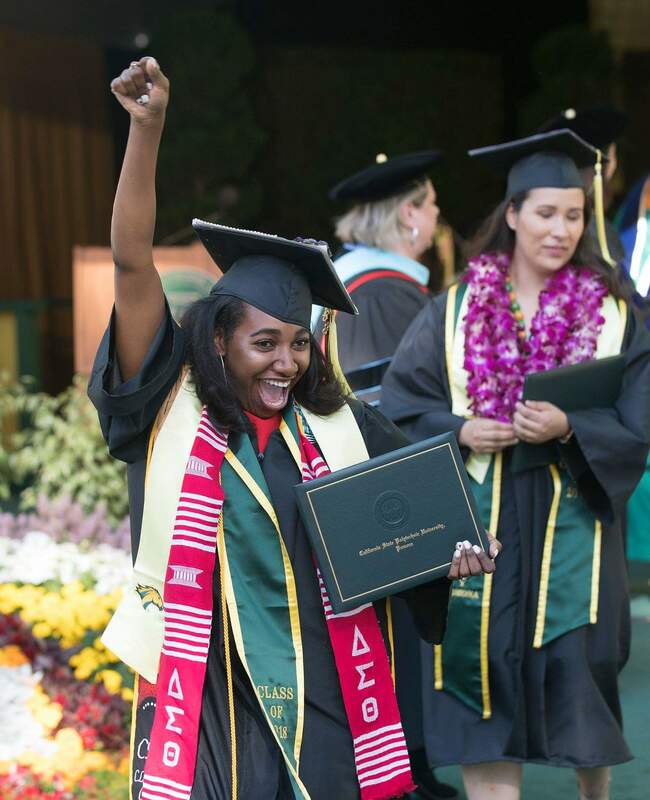 Students attending a 4-year degree program are eligible for a maximum award of $4,000 a year. Note: the Galardi Group Inc. Scholarship (Wienerschnitzel) is a separate application and is not included as an option in the general CRAF scholarship application. Scholarship criteria listed below. 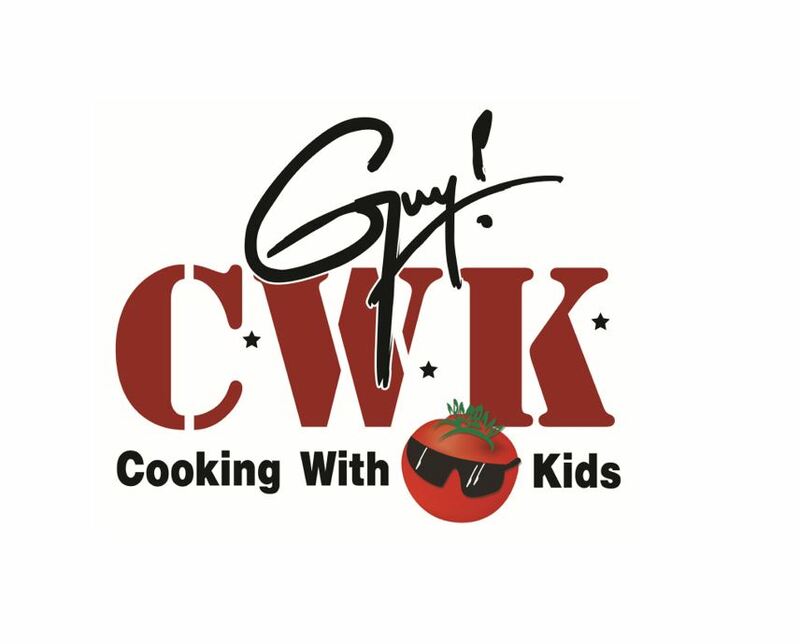 The Guy Fieri CWK Scholarships are competitive and awarded to qualified applicants based on an application (the general CRAF scholarship application) and a 30 second video submission. BJ’s Restaurants Foundation awards $12,000 in scholarships to students, teachers and schools during the CA ProStart Cup. TAG Scholarship eligibility: students currently or soon to be enrolled in the L. Robert Payne School of Hospitality + Tourism Management at SDSU or high school seniors attending a San Diego area community college and then transferring to SDSU’s L. Robert Payne School of Hospitality + Tourism Management. 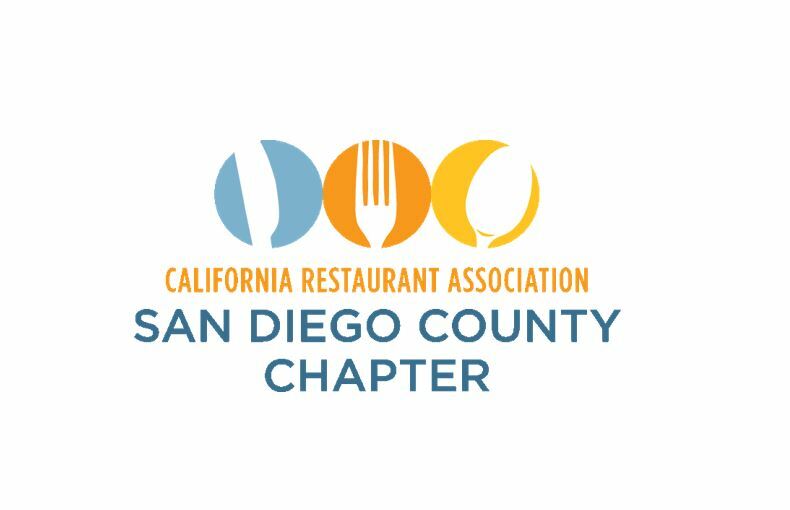 Community Colleges Scholarship eligibility: students currently or soon to be enrolled in a culinary program at San Diego Mesa College, Grossmont College or Southwestern College. 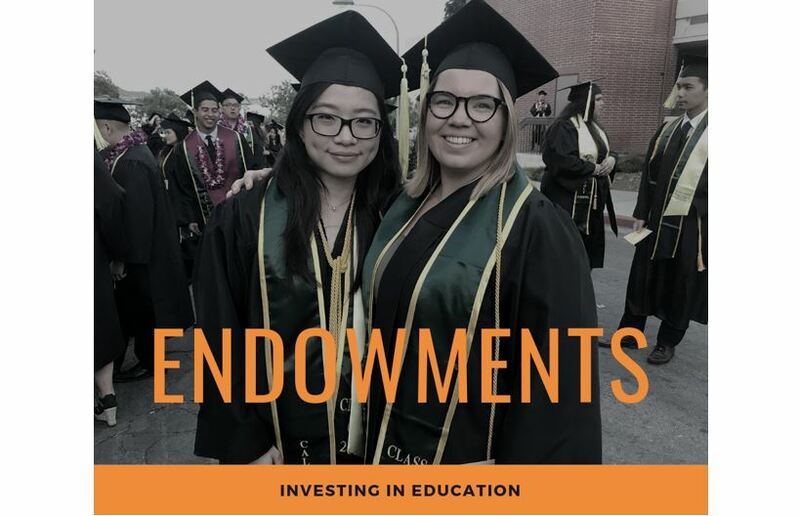 The CRA Foundation is fortunate to have partners who have made a long-term commitment to higher education. The following people and companies have established scholarship endowments with us. 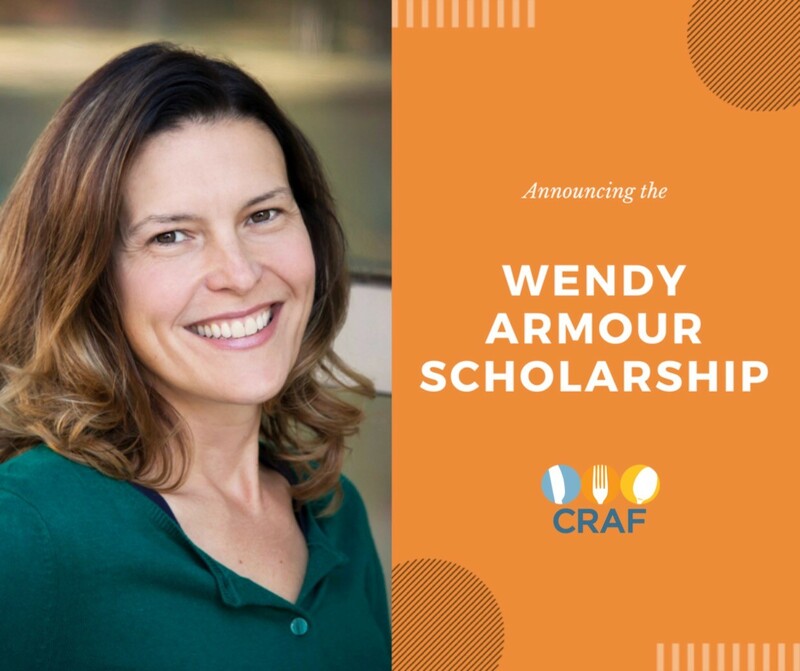 The CRA Foundation and the California Restaurant Association recently established the Wendy Armour Scholarship in memory of our dear colleague and friend who lost her battle with cancer. Wendy was the heart of the CRA Foundation for 19 years and inspired thousands of students to dream bigger. Her legacy will live on in this scholarship and the lives that it changes.